Bali Trekking – Admire the beautiful sunrise scenery at summit of Mount Batur, while enjoying a cup of hot tea or coffee and feel the tranquility beautiful sunrise of hidden paradise. Early morning departure from hotel and direct to Toya Bungkah village, where the local guide will welcome you with safety standard instruction before lead you to trekking to the top of mt. Batur. 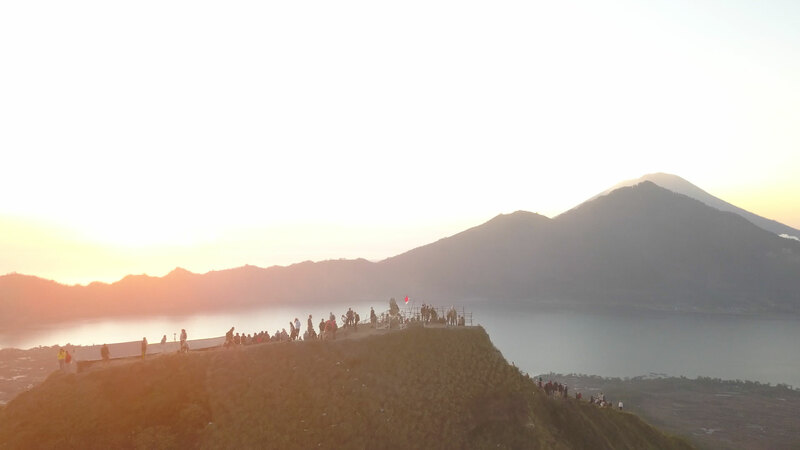 The summit of Mount Batur is 1717 m above sea level, normally can be reach around 2 hours. It will be fun and challenging. Arrive at the summit, you may open your breakfast box or get some special volcanic steam eggs while waiting for sun goes up and enjoy an unforgettable sunrise scenery. Descent to the finishing point of our trek it’s need around 2 hours until arrive at finish point. After finish trekking and before back to hotel you can relax at Toya Bungkah natural hot spring with magnificent scenery of the Lake Batur and visit Balinese coffee farm for coffee break and get free tasting coffee. 01.30 – 02.30 AM: Pick up time. 03.45 AM: Arrival at start point & start trekking. 06.15 AM: Arrival at the summit of Mt. Batur, breakfast served . 07.00 AM: Continue trekking around the entire crater. 08.00 AM: Begin descent to trekking finishing point . 09.00 AM: Arrival at finish point. 10.30 AM: Relax at Natural Hot Spring . 11.30 AM – 01.00 PM: Return to your hotel . Please contact us for other pickup areas.